My thanks, on behalf of the Director General of the Meteorological Office, for the latest meteorological logbook to be received from the Benjamin Bowring which covered the period May 2, 1980 to October 27, 1980. This is a first class book; the observations contained therein are of a very high standard and reflect great credit both on the officers who made them and also on the radio officer who transmitted them to the appropriate shore radio stations. We were particularly glad to notice the use which the observers had made of the remarks column, throughout the book, for recording shifts of wind, times and duration of precipitation, etc., as these considerably enhance the value of an observation when it is used for climatological purposes. The ocean current data recorded in this book are most welcome. As mentioned in our previous letter these are of great value to us in our work of updating Admiralty Pilots and compiling Current Charts. We look forward to further data from your vessel whenever the opportunity occurs. Where applicable the interesting reports contained in the additional remarks pages have been forwarded to the appropriate experts and should we receive any comments concerning them we will be pleased to pass these on to you. 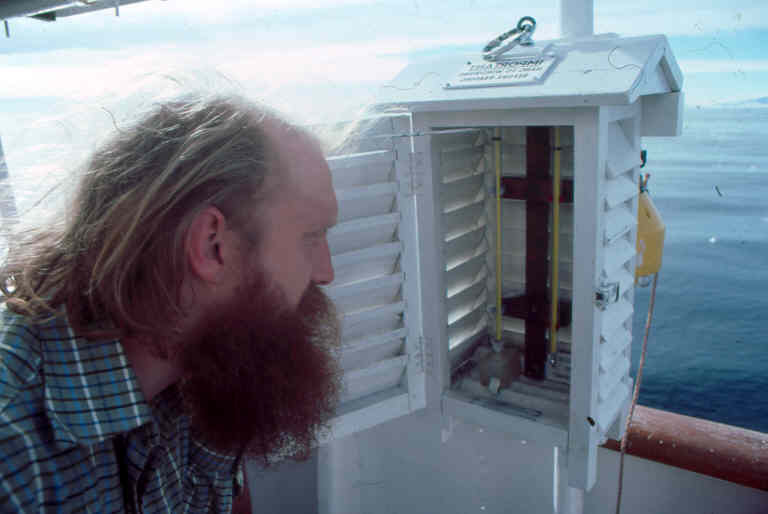 Your reports of whales and dolphins observed between September 1979 and April 1980 were forwarded to the Dolphin Survey Project at Cambridge and they commented, “this is useful to have information from so far south. In almost all cases the animals are positively identified and therefore require no comment.” As usual, all these reports will be considered for publication in our journal. It is obvious that you and your staff take the liveliest interest in our work of providing a meteorological service for shipping to which we are committed under the International Convention for the Safety of Life at Sea. Our sincere thanks to you and all concerned. for Marine Superintendent Meteorological Office.